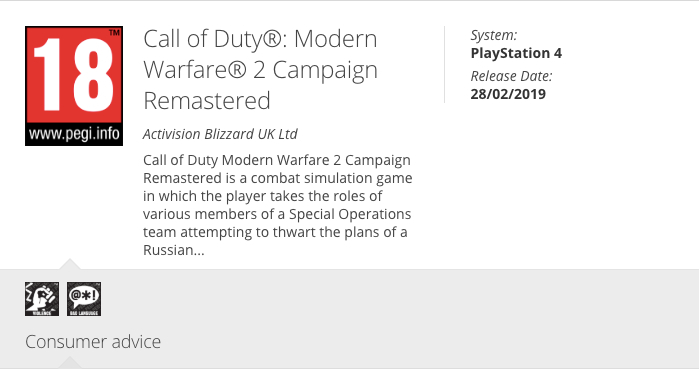 Could Sony be possibly hinting at something when it announced that Call of Duty: Modern Warfare Remastered as one of the free PlayStation Plus games for next month? It’s worth noting that the filing only mentions the single-player of the game, though it’s very unlikely that Activision will remaster one of the most influential first-person shooter games of all time and not include its highly popular multiplayer component. Also of note, the February 28 release date is obviously a placeholder one, as we’re now in March and we haven’t even heard of any confirmation for it. Could this Modern Warfare 2 Remastered be bundled with this year’s Call of Duty game by Infiniy Ward? Back in 2016, Call of Duty: Modern Warfare Remastered was originally bundled as part of a special edition (read: more expensive) bundle for Call of Duty: Infinite Warfare, before a standalone version was released months after in June 2017. We’ve reached out to Activision to ask for a statement and will update the post if and when we hear back. However, given how popular Modern Warfare 2 is, it’s just a matter of time before it gets remastered, and if I had to hazard a guess, this isn’t a mistake on PEGI’s part. 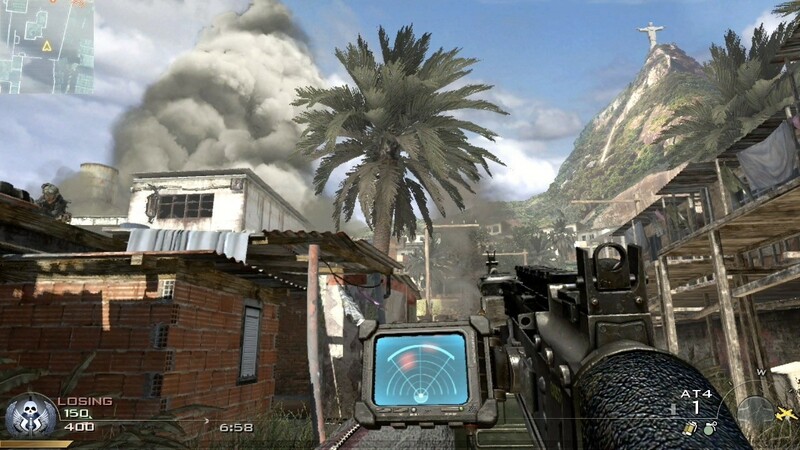 Would you want to play Modern Warfare 2’s multiplayer again? What do you want to see changed if so?